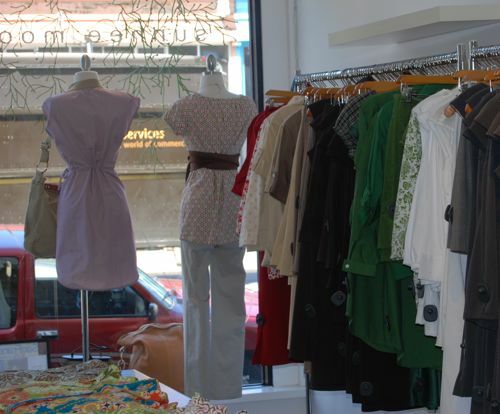 This is my favorite clothing boutique in San Francisco, and I was so happy to pop in this past weekend while I was visiting my sister. It’s owned by the designer herself, Sunhee Moon. She is so sweet and I can’t get enough of her line which includes clean silhouettes, vibrant patterns and easy basics. 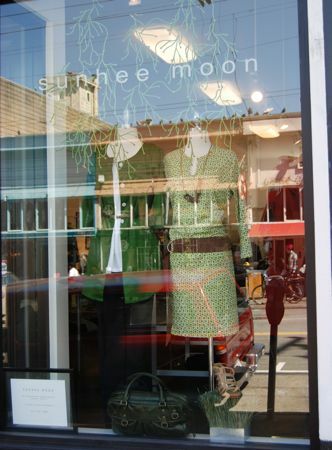 Here are photos from my latest trip to Sunhee Moon. 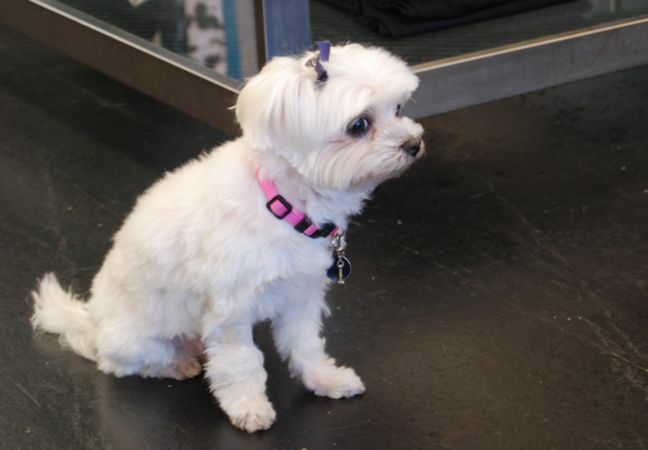 Please enjoy the last photo of the to-die-for-cuteness of her Maltese. Actually, she has two, but only one would cooperate for the camera. 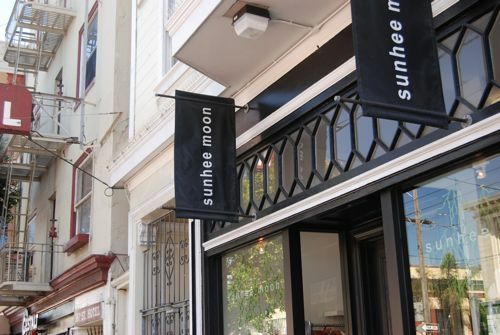 Sunhee Moon is at 3167 16th Street in San Francisco. Her clothes are also available online at SunheeMoon.com. Stop by Laughing Lotus where Dana teaches for some mind blowing yoga if you’re in that neighborhood, it’s just a block away from Sunhee Moon. 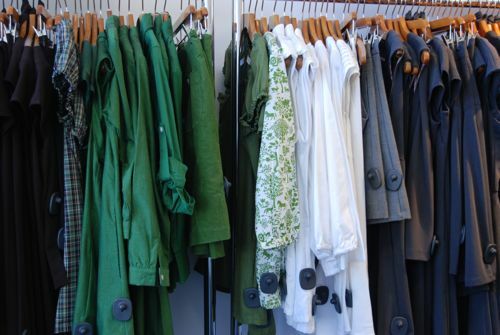 Ooh, my favorite shade of green! 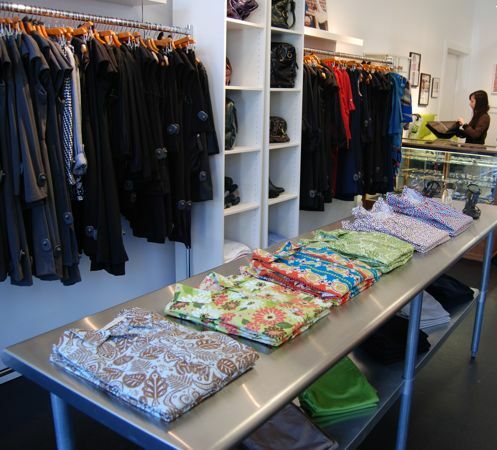 What a pretty shop!